The new Montana Quarterly is out and in it, Scott McMillion writes a fabulous story about the efforts of Randy Matchett of the U.S. 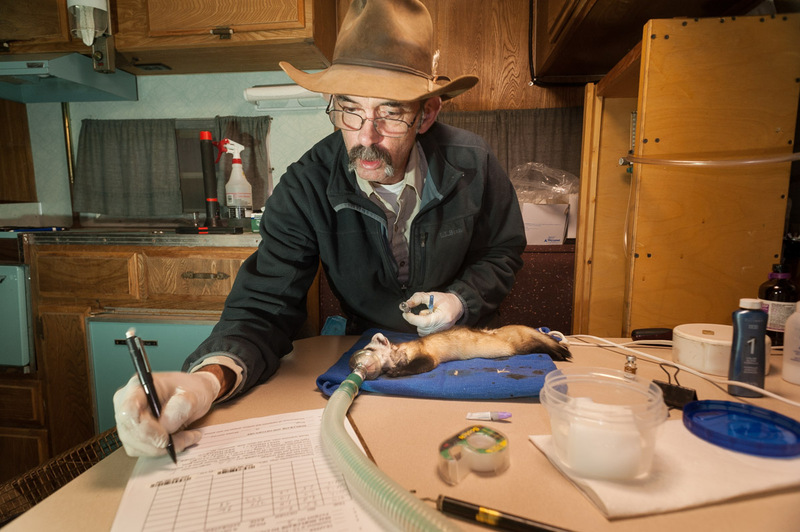 Fish and Wildlife Service and crew to establish a viable population of the endangered black-footed ferret in the UL Bend National Wildlife Refuge along the Missouri River in central Montana. Black-footed ferrets were thought to be extinct when a Wyoming rancher discovered the last 130 known black-footed ferrets on earth in 1981. Eighteen of them were put into a captive breeding program, and in 1994, Matchett and his crew began introducing some of them to the UL Bend. Two hundred thirty-five ferrets have been released on the UL Bend since then, and Matchett has counted 291 ferret births. In 1999, Matchett says the population was around 90. 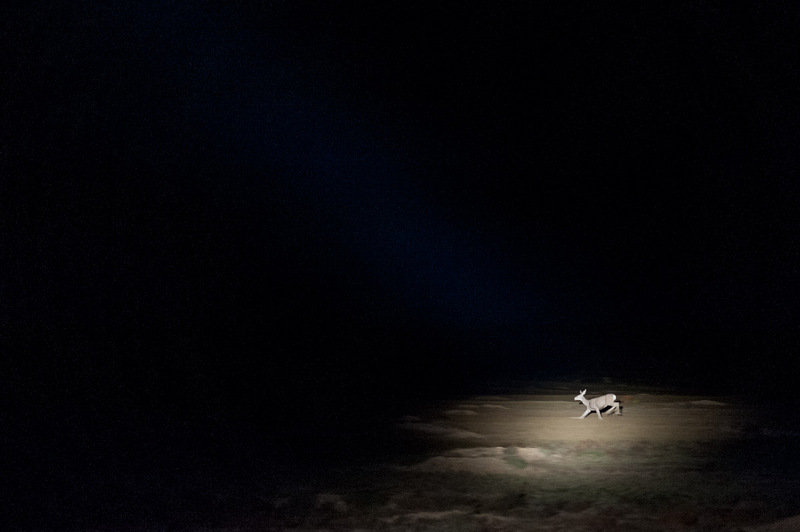 When Scott and I spent the night driving spotlight-equipped pickups through the refuge with Matchett in September, we counted four. And two of those were kits Matchett wasn’t sure even existed. Ferrets are almost entirely dependent on prairie dogs for their survival. 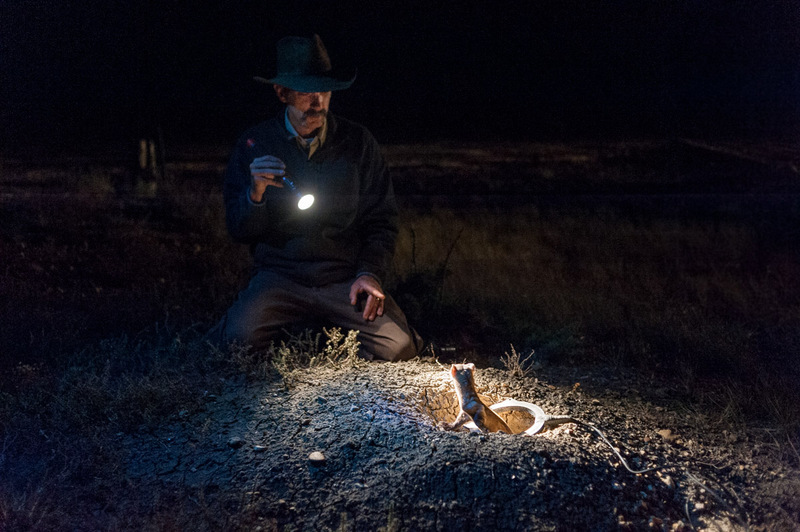 In addition to eating prairie dogs almost exclusively, ferrets also need their holes, dens, tunnels, towns as a place to live. And prairie dogs, doing all that digging and mowing all of that grass, aren’t the most popular of neighbors if you’re trying to raise cattle or grow wheat. So we’ve done a lot to get rid of prairie dogs and we’ve been pretty good at it. Up at the UL Bend, there’s a town that’s about 1,000 acres. 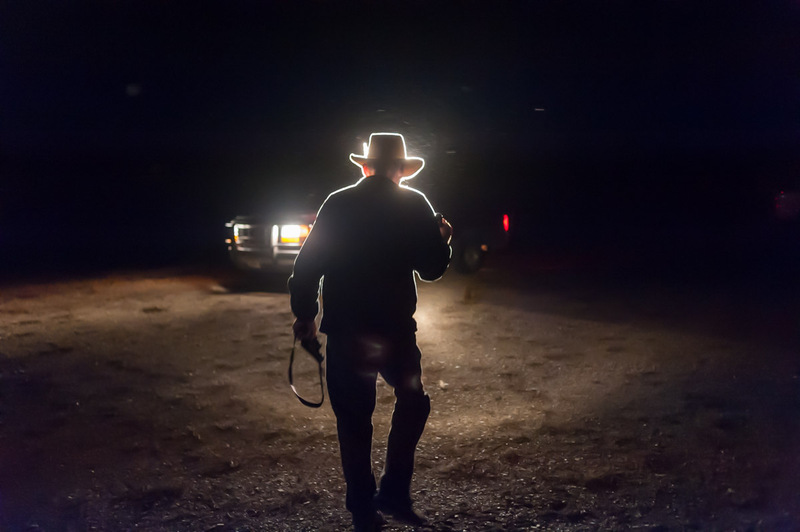 That’s where Matchett has been working to establish a wild black-footed ferret population. 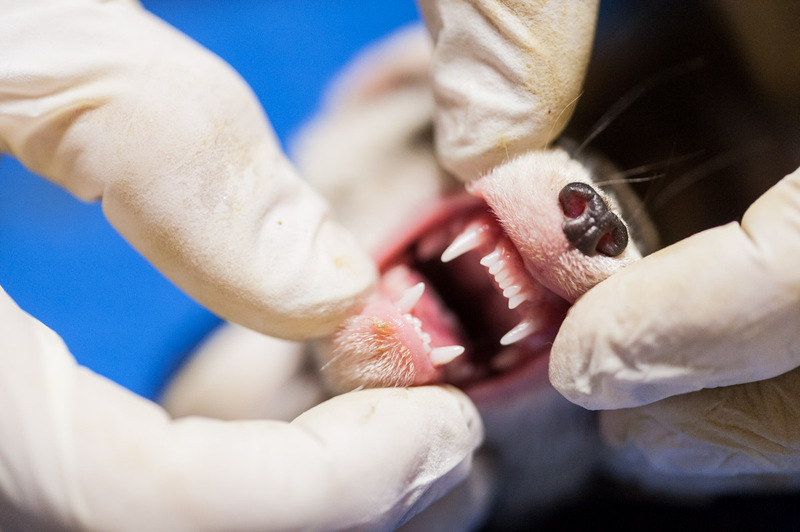 Fortunately, ferrets aren’t particularly shy around humans, so if a ferret has been captured previously, Matchett can read an electronic chip embedded in the animal’s skin with the aid of a ring-shaped sensor. This is ferret 484, a breeding female. Matchett thought she might have a couple of kits. So we headed back to our trucks and started driving and looking. Then we saw two sets of eyeballs. 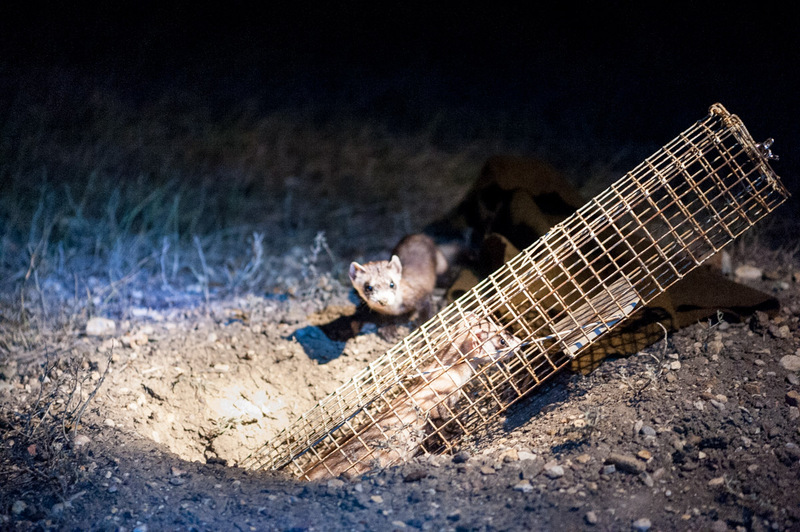 So Matchett got out his trap, a long rectangle of steel mesh, put it into a hole, covered it with a blanket and sure enough, a few minutes later we found the first of two kits, while Mom looked anxiously on. 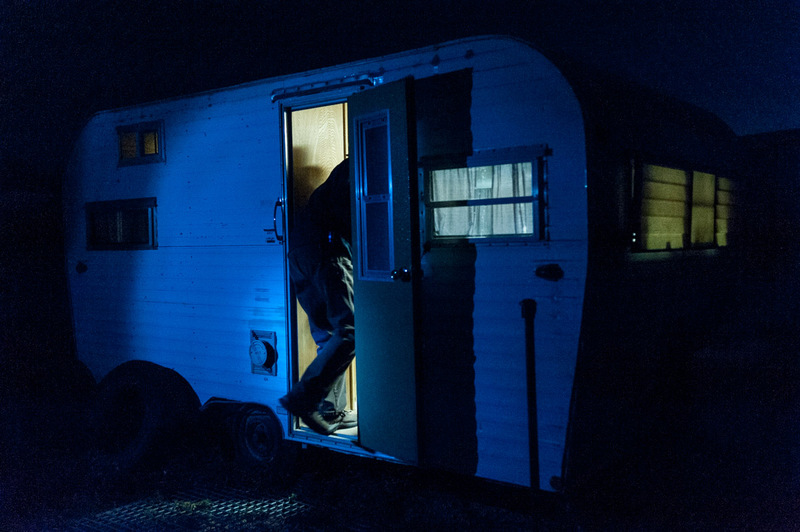 Matchett took the kit into one of a line of camper trailers at the site. This one was outfitted as a lab. Then he embedded a chip, took some samples, did some vaccinating and checked out the little guy. We found another kit later and the same process was repeated. This kits weren’t as big as expected, but they didn’t look too bad. After they spent a few minutes with us, we put them back where we got them, and our night was over. A month later, Scott says, Matchett told him all of the ferrets were gone. 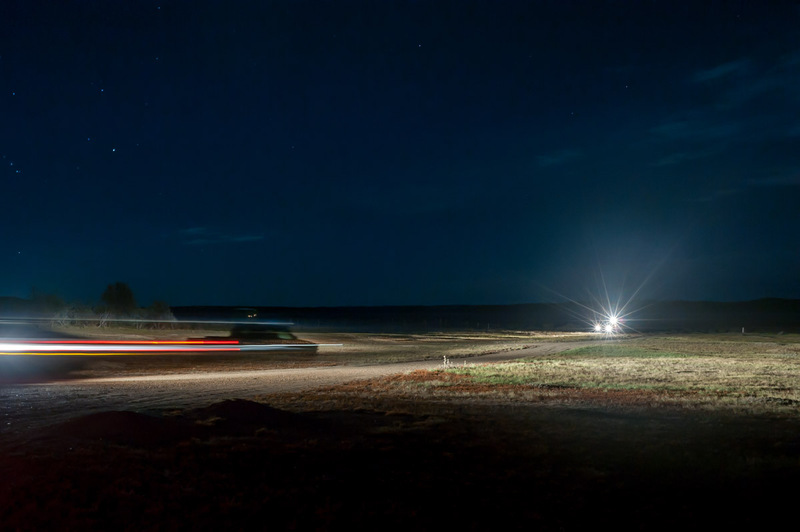 There’s about 1,000 acres of prairie dog town on the UL Bend Refuge. Matchett thinks it might take five times that to sustain a population of ferrets. 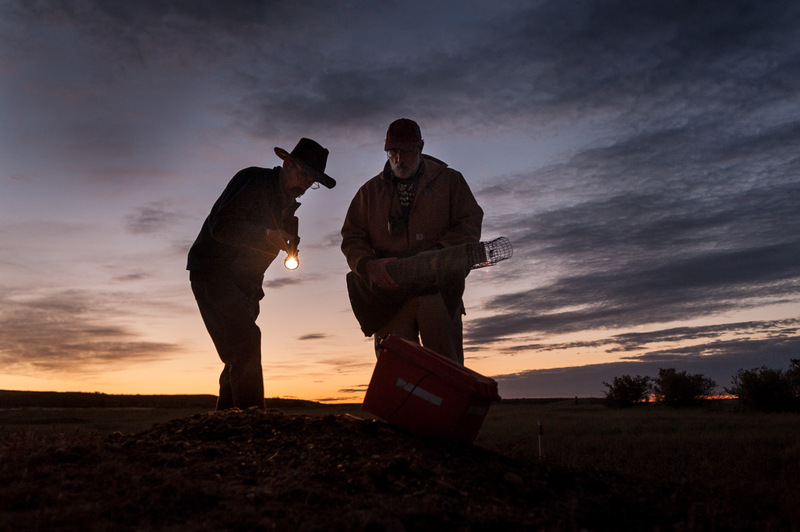 Predators like snakes and coyotes prey on the ferrets and diseases like plague can kill off the prairie dogs. It’s a fragile balance, but there aren’t many alternatives. 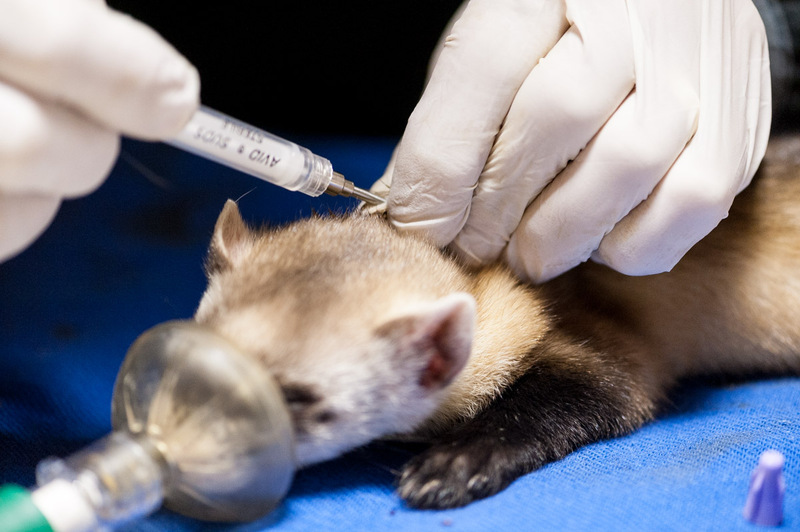 Next year, another population of vaccinated, captive-bred ferrets will be released on the UL Bend. Other spots around Montana and the northern plains are nurturing populations of black-footed ferrets as well. It’s not perfect, not ideal, but it’s better than nothing.